Mrs. Elizabeth Davis began taking Taekwondo in 1985 at Faulkner State College in Bay Minette Alabama. After transferring to the University of South Alabama she started taking classes from Mr. Warren Davis and Mr. Rick Hoadley. Mrs. Davis began teaching Taekwondo in 1988 at a club in Tillmans Corner, Alabama. In 1989 she married Mr. Davis and moved to Greensboro, North Carolina and began assisting with classes. 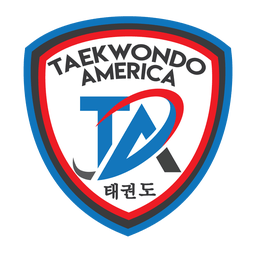 She has been heavily involved with Davis’ Taekwondo America ever since. After performing a demonstration in Lexington, Kentucky on September 2010, Ms. Davis was promoted to the rank of 7th Degree Black Master Instructor. In 2014 Mrs. Davis relocated with Mr. Davis to McKinney, Texas and opened a new Taekwondo America school that has been very successful. Mrs. Davis currently teaches classes and is in charge of the Dragon’s program at the Taekwondo school. She is still practicing Taekwondo, just as she started over 30 years ago!